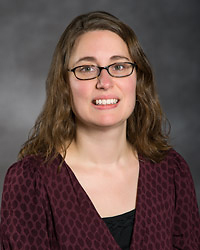 Jennifer Carmean joined University Public Affairs in November 2013. She oversees communication and strategy efforts for university-level communications as well as serves on the executive communications team. Carmean has served the Division of University Relations in various communications roles, most recently as the interim account director in University Marketing. Much of her career has focused on marketing communications for higher education. A VCU alumna, she completed her bachelor’s degree in psychology in 1998. She serves on the VCU Families Task Force and the Quest Communications Committee and is a member of the Public Relations Society of America and the In-House Agency Forum.